A 39-year-old female presented to the breast imaging center with a three-week history of a new, non-tender, palpable right breast lump at 12:00. The patient was pre-menopausal and had no personal or family history of cancer. Baseline bilateral diagnostic mammography and ultrasound were performed for further evaluation. Digital breast tomosynthesis (DBT) images of both breasts were performed. Mammography and ultrasound of the right breast revealed a heterogeneous circumscribed solid mass with moderate associated color flow measuring 4.8 cm (Figure 1). 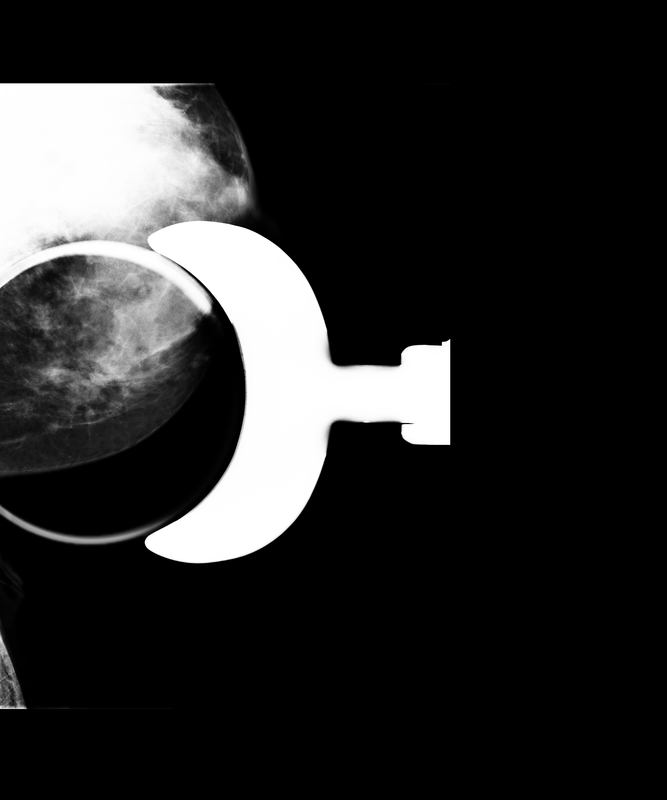 Incidentally, in the left breast, a prominent area of architectural distortion was identified on mammography, best seen medially on the craniocaudad view (Figure 2). Additional 2-D spot compression views demonstrated persistent architectural distortion in the lower inner quadrant of the left breast (Figure 3). 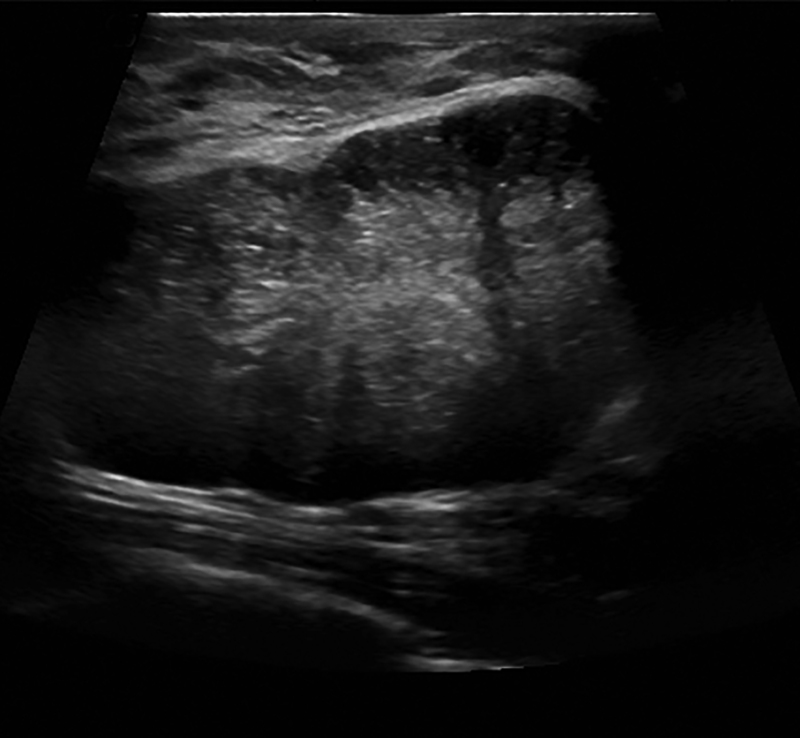 Targeted left breast ultrasound revealed focal fibrocystic changes on the left (Figure 4). 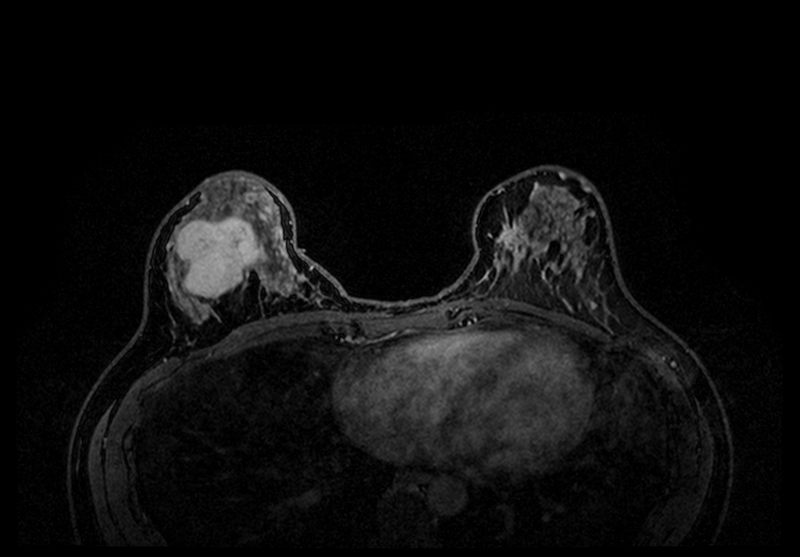 Bilateral contrast-enhanced breast MRI showed a large homogeneously enhancing mass in the right breast and a highly suspicious 2.2 cm irregular mass with spiculated margins and associated washout in the lower inner quadrant of the left breast (Figure 5). 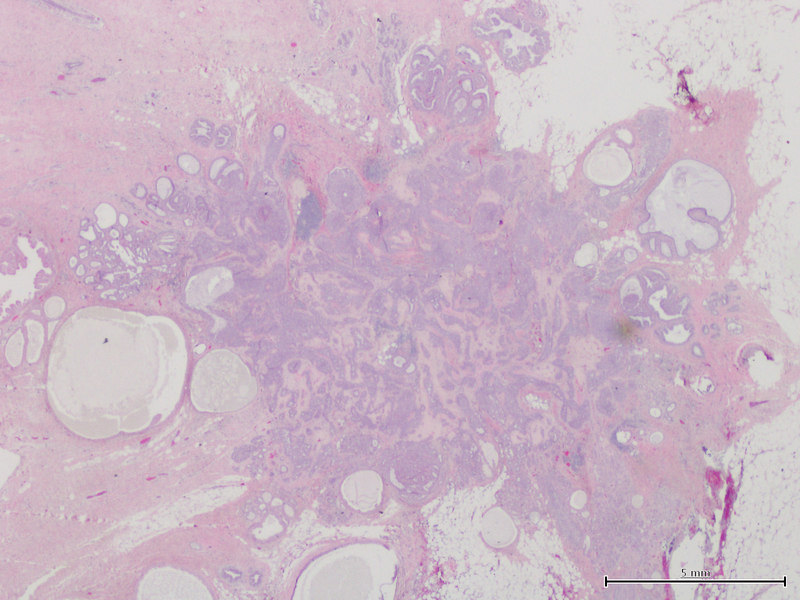 Surgical excisional biopsy confirmed a benign fibroadenoma in the right breast, and an atypical sclerosing papilloma in the setting of a radial scar/complex sclerosing lesion in the left breast. Radial scars/complex sclerosing lesions are benign lesions of the breast that pose a diagnostic challenge due to their radiologic resemblance to breast cancer. The most common mammographic appearance is a spiculated area of parenchyma with a “black star” effect and a lack of a central tumor mass. 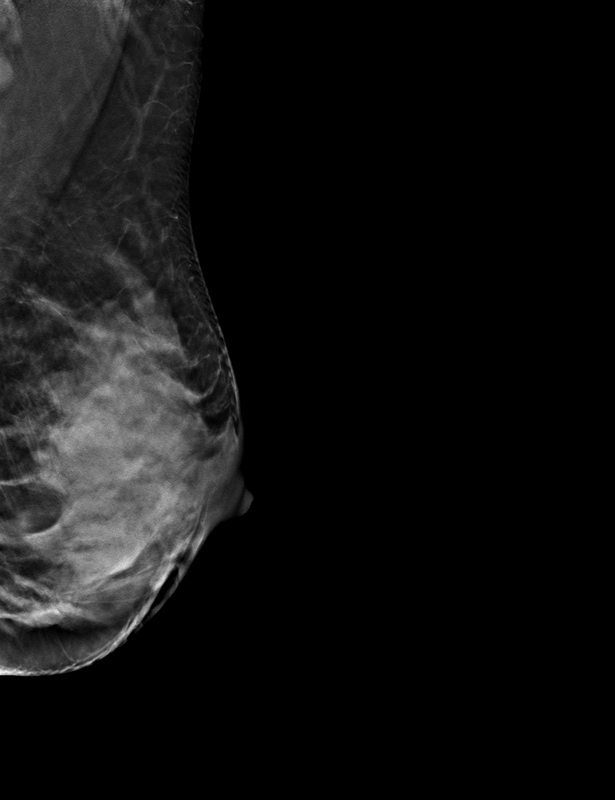 Digital breast tomosynthesis with ultrasound may offer some benefit over traditional mammography in terms of detection of architectural distortion and, thus, radial scars. Although multiple core tissue samples obtained by percutaneous core needle biopsy may improve diagnostic yield and mitigate the need for a subsequent surgical biopsy, the current recommendation for management of most RS found on percutaneous biopsy is surgical excision. Page D, Anderson T. Radial scars and complex sclerosing lesions. Diagnostic histopathology of the breast. 1st ed. Edinburgh, Scotland: Churchill Livingstone; 1987. Chapter 9, Radial scars and complex sclerosing lesions; p. 89-103. Linda, A, Zuiani C, Londero V, Cedolini C, Girometti R, Bazzocchi M. Magnetic resonance imaging of radial sclerosing lesions (radial scars) of the breast. E J Radiol. 2012; 81:3201-3207. Partyka L, Lourenco AP, Mainiero MB. Detection of mammographically occult architectural distortion on digital breast tomosynthesis screening: initial clinical experience. AJR Am J Roentgenol. 2014;203:216-222. Yang TL, Liang HL, Chou CP, Huang JS, Pan HB. 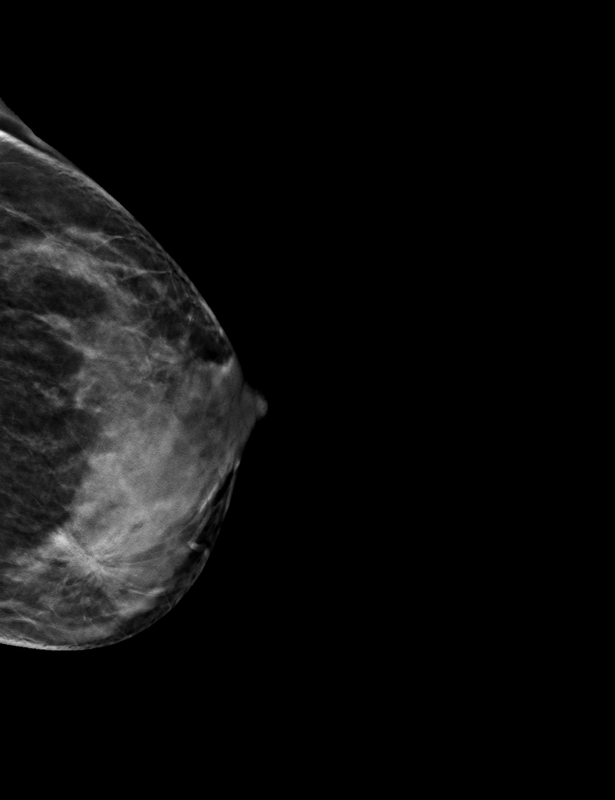 The adjunctive digital breast tomosynthesis in diagnosis of breast cancer. BioMed Res Int. 2013;2013:597253. 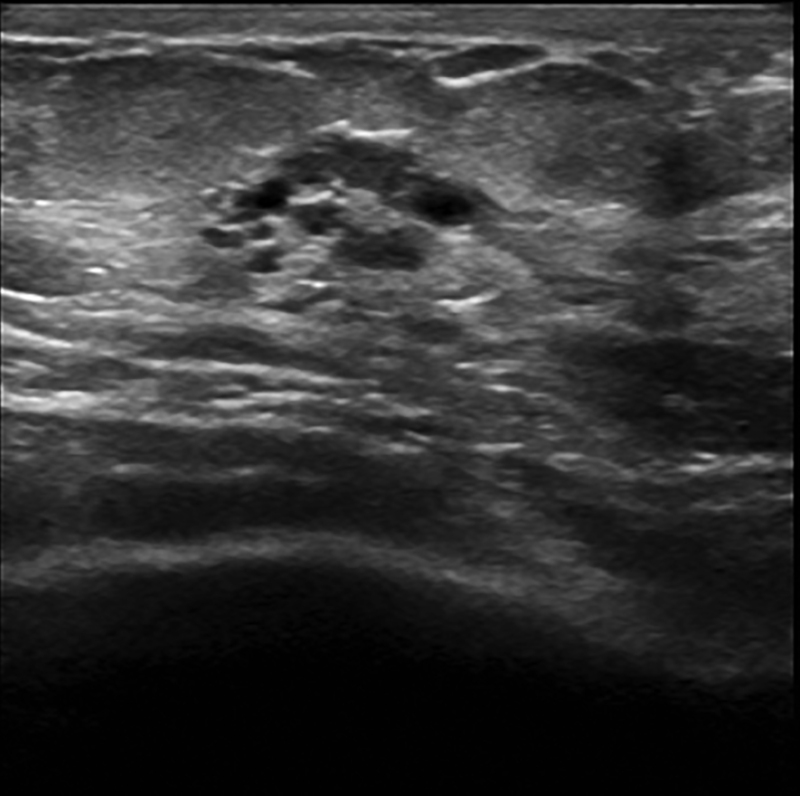 Lee E, Wylie E, Metcalf C. Ultrasound imaging features of radial scars of the breast. Australian Radiology. 2007;51:240-245. Cawson, J, Nickson C, Evans J, Kavanagh AM. 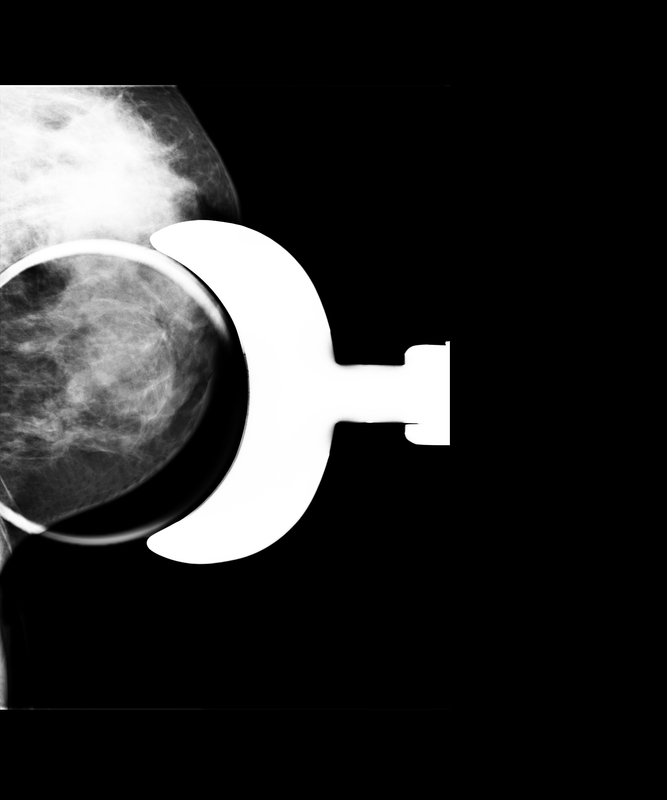 Variation in mammographic appearance between projections of small breast cancers compared with radial scars. J Med Im and Rad Onc. 2010;54:415-420. Farshid G, Rush G. Assessment of 142 stellate lesions with imaging features suggestive of radial scar discovered during population-based screening for breast cancer. Am J Surg Pathol. 2004;28:1626-1631. Brenner RJ, Jackman RJ, Parker SH, Philpotts L, Deutch BM, Lechner MC, Lehrer D, Sylvan P, Hunt R, Adler SJ, Forcier N. Percutaneous core needle biopsy of radial scars of the breast: when is excision necessary? AJR Am J Roentgenol. 2002; 179:1179-1184. Linda A, Zuiani C, Furlan A, Londero V, Girometti R, Machin P, Bazzocchi. Radial scars without atypia diagnosed at imaging-guided needle biopsy: how often is associated malignancy found at subsequent surgical excision, and do mammography and sonography predict which lesions are malignant? AJR Am J Roentgenol. 2010;194:1146-1151. Samreth SN, Fitzpatrick, KA, Lebeau, LG, MacKerricher WS, Borders MH. Incidental atypical sclerosing papilloma within a radial scar on digital breast tomosynthesis. Appl Radiol. 2017;46(7):44-47. Prepared by Ms. Samreth while a third-year medical student; Drs. Borders and Fitzpatrick while serving as Assistant Professors of Medical Imaging at the University of Arizona College of Medicine, and Co-Medical Directors of the Banner University Breast Imaging Center; Dr. Lebeau while an Assistant Professor of Pathology; and Dr. MacKerricher while a Resident in the Department of Pathology at The University of Arizona College of Medicine in Tucson, AZ.